Roger Harris, CBE, was a well-respected and much-loved businessman in Plymouth. Sadly, he was diagnosed with a brain tumour in 2017 and lost his battle with cancer in October of that year. In his memory, The Roger Harris Fund has been established by the Peninsula Medical Foundation and the University of Plymouth to raise £274,000, the amount needed to fund 100 days of cancer research in Plymouth. This will help Professor Oliver Hanemann and his team to carryout world-leading research to develop treatments and, ultimately, a cure for brain tumours. Find out more about The Roger Harris Fund and how your donation could make a difference here. The University of Plymouth’s Brain Tumour Research team, led by Professor C. Oliver Hanemann, are members of one of four Brain Tumour Research Centres of Excellence throughout the UK, with whom they closely work, supported by the charity Brain Tumour Research. The Centre of Excellence is based at the University’s flagship Institute of Translational and Stratified Medicine (ITSMED). The Brain Tumour Research team’s work focuses on identifying and understanding the mechanisms that make a cell become cancerous and exploring ways in which to halt or reverse this process. We are working to find new biomarkers and therapeutic targets for low-grade brain tumours, to test new drugs and to investigate how existing drugs could be re-purposed as therapies for brain tumours. This research is facilitated using a number of complementary methods including the use of primary cell models and culturing techniques, and is driven by both hypothesis and omic discovery approaches (particularly genomics and proteomics). Investigating use of combination therapy through research into brain tumour microenvironment and tumour immunology. This is vital work, as the only treatments currently available for these brain tumours are invasive surgery and/or radiotherapy. Our Centre’s research is supported by a range of successful collaborations including with Imperial College and Memorial Sloan Kettering Cancer centre, and we are part of the International REiNS consortium (Response Evaluation in Neurofibromatosis and Schwannomatosis). Our research is supported and enabled by our established neurofibromatosis and meningioma biobanks and a developing low-grade glioma biobank, which include matched blood samples. 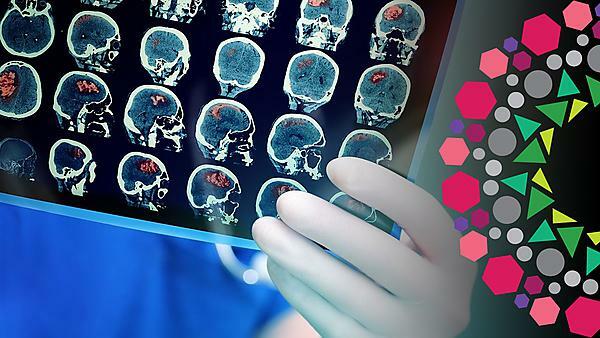 The University of Plymouth’s Brain Tumour Research Centre of Excellence comprises researchers with molecular, cellular, biomedical and clinical expertise. Mindos T, Dun XP, North K, Doddrell RD, Schulz A, Edwards P, Russell J, Gray B, Roberts SL, Shivane A, Mortimer G, Pirie M, Zhang N, Pan D, Morrison H, Parkinson DB (2017) Merlin controls the repair capacity of Schwann cells after injury by regulating Hippo/YAP activity J Cell Biol. 216 (2) 495-510. AiPBAND is a four-year, €3.7 million, pan-European, Horizon 2020, Marie Curie Innovative Training Network led by researchers at the University of Plymouth, designed to train the next generation of researchers in the early diagnosis of brain tumours. development of cloud-based diagnostic systems. Around 16,000 people a year in the UK are diagnosed with a brain tumour. We're working with Brain Tumour Research to improve research and treatment. We're one of four universities in the UK working with the charity to improve the treatment and outcomes of brain tumours. For general enquiries, please contact Nicola Hillary, Secretary to Chair of Clinical Neurobiology. Address: R3TA6A, John Bull Building, Plymouth Science Park, Research Way, PL6 8BU.